Get Back on the Horse? He was a pony working at my friend’s birthday party. I was a five year-old kid sitting on his back. Something spooked him, and off he went with the pony version of a bucking bronco. Pony version or not, it still sent me flying and put me on the ground with a thud. I cried from the terror but, thankfully, wasn’t hurt. The old adage is that if you fall off a horse, get back on quickly or you never will. I guess that’s correct because I ignored that advice and have never gotten back on a horse. At this point, I don’t have plans to. The other time I got personal with (but not on) one was back when my cousins kept a horse near their home. They hadn’t ridden him for a while, so he had reverted into “wild” mode. We were trying to get him back in a pen. My older cousin put me in position and told me to stay right there no matter what. Do I regret not getting back on that pony sixty years ago? Not really. My life has been so full of blessings and opportunities from the Lord that I can’t begin to remember them all. I don’t know how I would have worked riding horses into the mix. And, at this point, I don’t think I was supposed to. All of that can be like the Christian life. There will be times we’ll try things in service to God and people, and we’ll get “bucked off”. We remind ourselves we can’t, and aren’t meant to, do everything. But, we also have to take more consideration than a five year old boy deciding not to get back on the pony. It could be a situation where God expects us to get back on in order to be blessed and not have regrets later on. My twenty-year-old Ford Ranger’s odometer reads over 471,000 miles. As would be expected, there are several things that aren’t quite “showroom floor” functional. The gear indicator on the steering column no longer matches up correctly, so if you position the pointer to “N” and plan to sit still, don’t be surprised if you start moving backwards. The cover to the front seat console is missing. Someone threw a brick through the passenger window to look for stealable stuff years ago in an Atlanta Hotel parking lot. As they searched, instead of pushing the button and easily opening the console cover, they felt it necessary to just rip it off. The “check engine” light came on last year and the problem was a malfunctioning emissions valve in the gas tank filler tube. Weighing the several hundred dollars it would cost to replace it versus the mechanic’s statement of “it won’t cause any problems,” it was an easy decision to leave it alone. While the malfunctioning valve hasn’t caused problems, it does make an interesting sound. Now and then, when the engine is idling, a snuffly “whaaamff” sound comes from inside the filler tube. I can’t describe the sound exactly, but it reminds me of what a trumpeting heffalump, from the Winnie the Pooh stories, might sound like. While the heffalump trumpet is neat, the truck has another sound that still functions, and I’ve given a heartfelt “Thank You!” for it many times. It’s that little bell that dings when I open the door and have left the lights on. It’s reminder that I need to “think about what I’m doing” sure has saved me much trouble through the years. I don’t believe I’ve ever ignored it. Reminds me of the warning the Holy Spirit gives us when we’re about to say or do something wrong and should really stop and think. I wish I could say I’ve never ignored that “bell”, but I can say when I have paid attention, it’s saved me much trouble through many years and miles. Much more than twenty years and 471,000 miles. That’s a lot to be thankful for. In the last several weeks, we’ve heard sermons about the providence of God. This article is too short to even comment on that broad and deep subject. But, I will mention a few things I’ve thought about lately. In the 1960’s I lived in Bel Air Estates subdivision when it was “outside” Statesboro. Georgia. Highway 80 out there was a two-lane blacktop, and most of the roads in the subdivision were dirt. There was a new house being built down the street from where I lived, so my cousin, Lewis, and I went exploring. While we were inside the half-built house, a car drove up so we scrambled into the attic and hid. The family building the house was checking out the progress. There was a mother, a father, a son, and a daughter. They didn’t discover us, so, after they left, we climbed down and laughed our way back to my house. The daughter’s name was Sharon. Our 45th wedding anniversary will be July 20th. Mrs. Bice, the guidance counselor at Statesboro High, sent a note asking me to come to her office. When there, she asked me what I planned to do after high school. I said I guessed I would stay at home, attend Georgia Southern, and figure out what courses to take. She told me she thought that would be a mistake, and that I should go to Georgia Tech. I apparently had done well enough on the math part of the SAT that her advice was to take advantage of that. So, I did, and became an engineer, which is now clear to me, and Sharon, that it was my calling for a profession. When our son Daniel was 4, Sharon and I decided to move from Savannah to either a small town or to the “country.” We found a wonderful renovated 100 year old house in Oliver and signed a contract contingent on selling our house in Savannah. We weren’t able to sell in time, so that fell through. We continued the process and were out exploring one day and I said I’d show her a friend’s place where I had been dove hunting. As we drove down the dirt road, Sharon noticed an empty house. We stopped and sat there looking and talking and my friend happened to drive by and I waved him down. He took us down the road to meet the brother of the house’s owner. We’ve lived in that house in southeastern Bulloch County over thirty years now. Nearly twenty-five years ago, Daniel’s friend, Garrett, invited us to go to church with them and we accepted. And now, those many years later, I’m sitting here writing an article for that church’s newsletter. If you’ve driven Interstate 16 in Georgia between Savannah and Macon (on the way to Atlanta), you know the signs of civilization are sparse in some sections. You should have seen it forty plus years ago. Back then, it was so sparse you had to check your gauge before heading out because the gas stations were nearly non-existent. Back then, I attended Georgia Tech in Atlanta. I drove the highway most Sunday nights because I went home every weekend I could, in order to see my future wife, Sharon. (We had already decided she was my future wife and me her future husband, we just hadn’t told anyone.) Sunday night was the sad time of the weekend, when I left her and headed back to Atlanta. It was a lonesome drive and I spent much of the time trying to find decent radio stations to listen to for a few minutes before they faded away. But, as I neared Macon, I could always pick up WMAC—a good radio station with a strong signal that stayed with me for about an hour. Also, as I neared Macon, (Mile Marker 9 on I-16 , measured from Macon) there were two radio towers off to the left. I watched each time, and near the spot where I passed the mile marker, the towers lined up and looked like one tower for a split second. As I continued, they would start to visually separate, and then over a hill and around a bend they were out of sight. Although I never measured it, I took the point where they looked like one tower as the middle point of the journey. On the Savannah side I was leaving Sharon, and on the Macon side I was going to school. My thoughts would go to what paper was due or which test was coming up. But, of course, Sharon and the big picture of the two of us eventually being together remained uppermost in my mind. It’s a new year. At midnight, New Year’s Eve, two towers in our personal journey appeared to be one for a split second, but they’re already farther apart and will continue to separate. We may or may not feel we are leaving something behind, but, now we should focus on what we need to do as we go forward. And, of course, the Lord and the big picture of us eventually being together with Him in Heaven should remain uppermost in our mind. This Reflector Needs Some Polishing! My first real job was as projectionist at the Georgia Theater in downtown Statesboro, Georgia. It was an interesting and fun job, most of the time – but, since it was back in the time of one screen with the same movie showing for several days, it could be boring, too. Several memories come to mind about the job: My first night working by myself, I learned that if you incorrectly flip the thingy that holds the film frames straight, the movie shows half on the screen and half on the wall, and you start getting yelled at by members of the audience. When I worked on Friday or Saturday night, my (future) wife, Sharon, and I sometimes stayed after the last showing. We were able to eat the surplus popcorn and listen to music on the theater’s sound system. It wasn’t fancy by today’s standards but was the best sound in town in those days. But, something I read this week reminded me of the projector’s carbon arc lamps used back then, and the reflector that focused the light on the film. 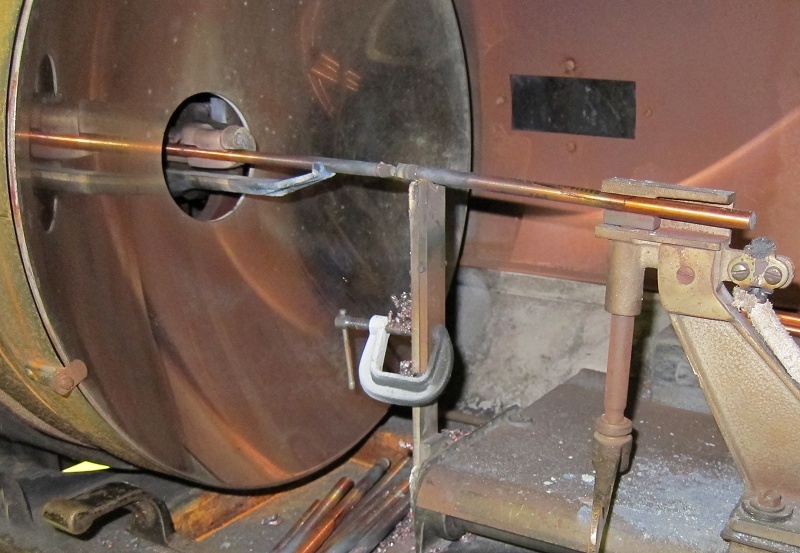 In the arc lamp, two carbon rods are brought together and an electric current flows through them (see photo.) As you move the rods apart, an arc forms and creates a blinding white light. The light from the arc goes in all directions within the projector chamber, and because the frame of the film is very small, there isn’t enough light going to that one spot to clearly show the movie on the screen. That problem is solved with a concave shaped mirror near the back of the chamber. It reflects and focuses the light on the film frame and the images as bright and clear as daylight appear on the screen. That meant it was time to get out the Bon Ami. Bon Ami was, and still is, a powdered cleanser that consists of tallow soap and feldspar, a natural mineral abrasive. The cleanser was spread over the reflector with a wet cloth, then allowed to dry. When it dried, it formed a film on the mirror (much like car wax.) As you rubbed the film off, you were using the abrasive to remove the smoke and tiny bits of carbon, and also polishing the surface. It was amazing how improved the reflector was after the process. The images “bright and clear as daylight” were a reality again. In his Bible Study on Philippians, Sinclair Ferguson wrote “Suffering is the friction which polishes our graces. Without it, we would be all the poorer as reflectors of the image of (Jesus).” As I read that in our Bible Study this week, you can see why it reminded me of getting out the Bon Ami and polishing the reflector. Many books have been written about Christians’ suffering, and these few words can’t address the depth of questions that can be discussed. So, I’ll just try to give us something to think about. We have no true light of our own that will glorify God. As Ferguson wrote, the light we want to shine before others is a reflection of the image of Jesus. As you read the following passage, think of God using our suffering as His spiritual cleanser – maybe taking off a bit of pride here, or a bit of self-righteousness there, but particularly polishing off the smoky film that not only blocks out God’s marvelous light that is shining upon us, but also prevents us from being able to reflect that light (the image of Jesus) and focus it on others. Several years ago I participated in a Wood Badge course for Boy Scout Leaders. 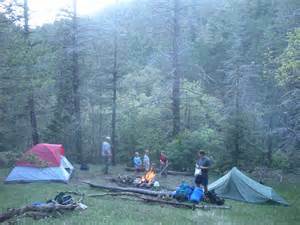 Most of the class work was done on weekend camping trips over about a six month period. Along with instruction in the details of leading a troop the Boy Scout way, and being taught how young boys learn best, the camping setting allowed us to practice outdoor skills we could pass along. After my initial aggravation at being laughed at, I did get a kick out of listening to him, in effect, tell us the first thing to do: “you look around.” Some of the others may have also picked up on that, but the instructor never seemed to make the connection. All of us may remember times when we were right, and were either laughed at, or not believed. As you see, that one is readily available in my memory. But, I hope I remember the incident more from the lesson to be learned. When setting up camp, or in any task, or plan, it’s best to look around first. My New Book Will Be Available Next Week – Thank the Lord! Createspace says it should be available on Amazon in 3-5 days. The Kindle ebook is in progress and I’ll have more info on all of this soon. What Biblical lessons can you learn from falling out of your uncle’s pickup truck, accidentally hitting your cousin in the eye with a paddleball, or watching toads patiently wait for tasty bugs? Bill Jones pondered those, and other memories and observations of everyday life, and found the lessons God gives in them. Such thinking crystallized his understanding that God’s goodness and greatness are all around us, and He is with us every step of our journey through life. The stories told in these devotional readings illustrate how God uses the happenings in our life, both the good and bad, and the small and large, to show us His love and mercy, and teach us how we should live. 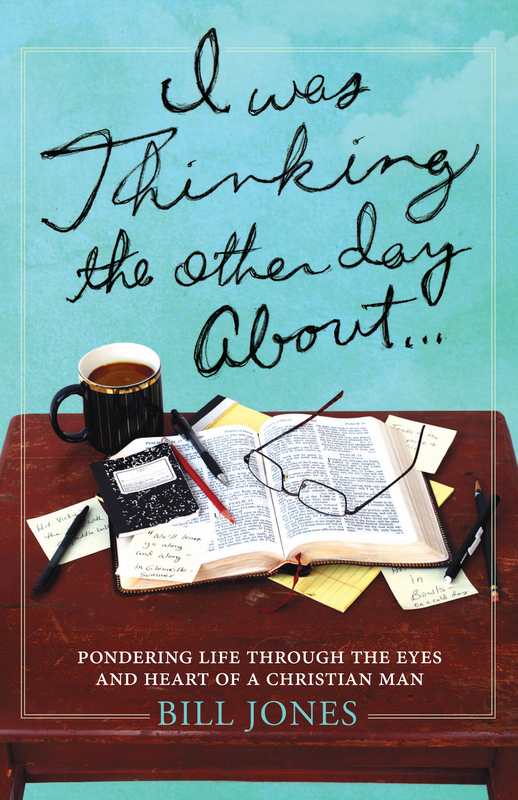 Mixing touches of humor and unconventional perspectives, the author gives us the opportunity to do some thinking about our great and gracious God, and, hopefully, get a little closer to Him. Bill Jones and his wife, Sharon, live in a rural area of southeastern Georgia where they attend a small community church. He has had inspirational articles published in Evangel, Keys to Living and The Christian Journal magazines.